Color Inspiration + A NYFW Sweepstakes! If you could come up with your own custom nail polish color, what would it be? A color that you love, or one that you think represents you? Would your custom nail polish color be full of sparkle and glitter? Matte or shimmery? 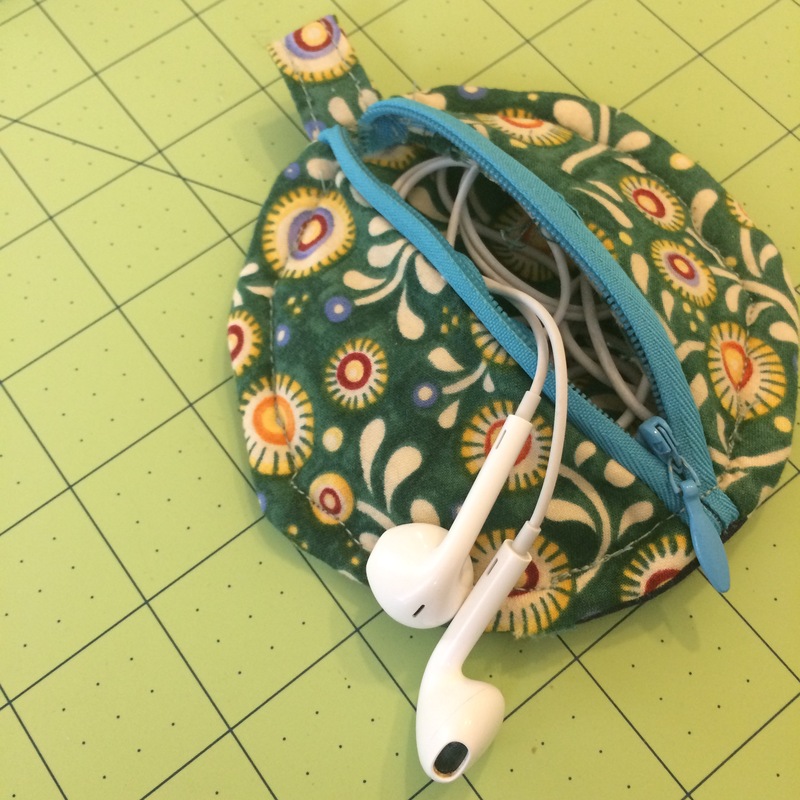 When the question was posed to me by Julep (along with the opportunity to enter a great sweepstakes – more on that later), I had a color in mind almost instantaneously. 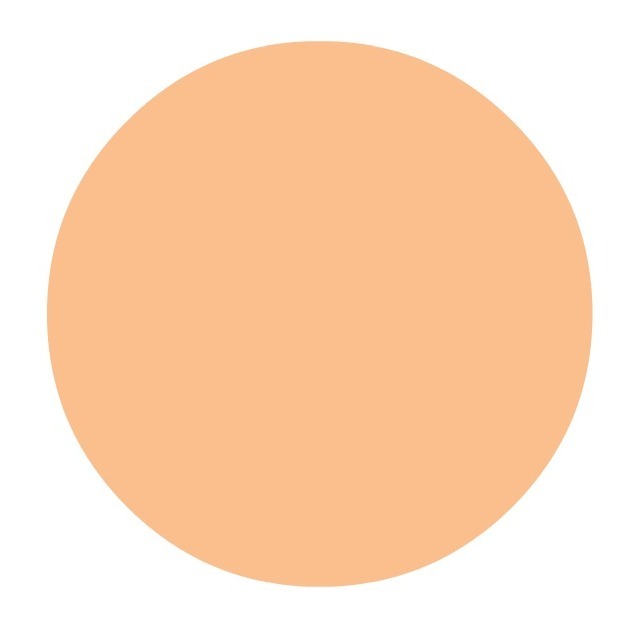 If I were to create my own custom nail color, it would be a creamy, muted orange. I’d say the color would be inspired by the peachy-blush tones of the English roses in my wedding bouquet, but it’s more than that. I just love muted peachy tones. I gravitate toward them. Most of the clothes hanging in my closet are peach, blush colored, beige or some other neutral tone. 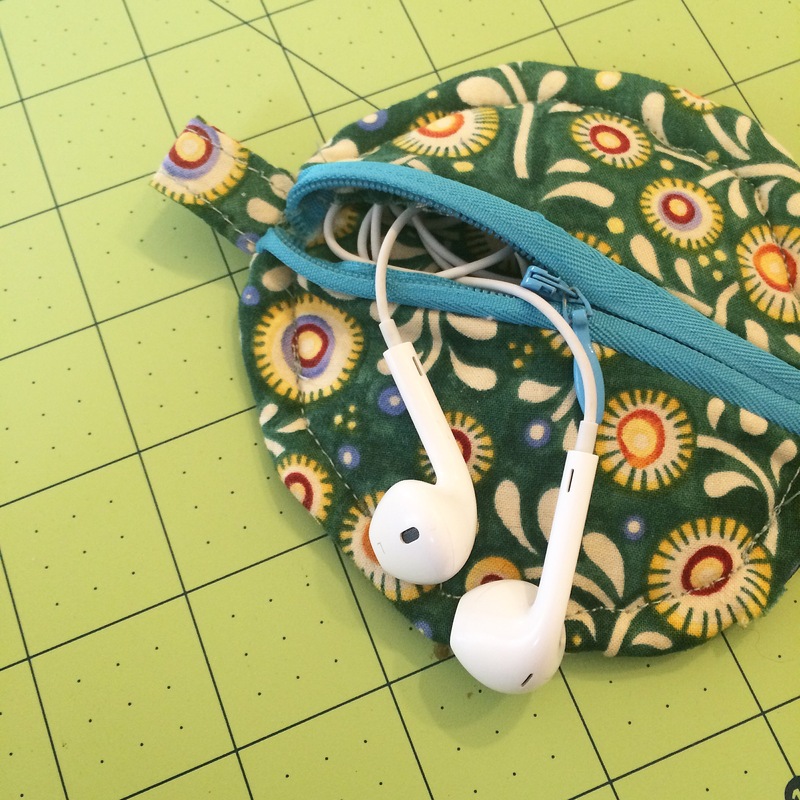 I love that the colors are warm and inviting, compliment my skin tone, and that they’re easy to dress up or accessorize. 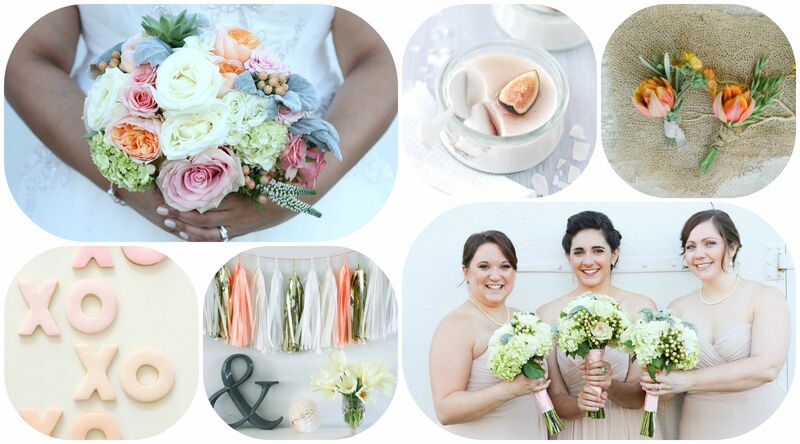 So, it’s natural that I would have incorporated these tones into the flowers and decor of my wedding, and that if I could create my own custom polish color, it would be inspired by my everyday color story. Clockwise from top: 1//Detail of my wedding bouquet. 2// Coconut Panna Cotta. 3// Jose Villa via Style Me Pretty. 4//My Bridesmaids! 5// Tassle Garland. 6// Hello Naomi. With all of this in mind, I created a little color inspiration board of my own, from which I pulled out a custom color swatch. Sort of a peach sherbet color. In keeping with the theme for Julep’s polish colors, I think I’d name my custom color Corinne. If you could create your own custom polish color, what would it be? Now for the Sweepstakes Information! Julep is giving away an awesome trip for two to New York Fashion Week and a $5,000 shopping spree! Imagine spending a fun weekend in NYC with your BFF, shopping till you drop and going backstage at NYFW! 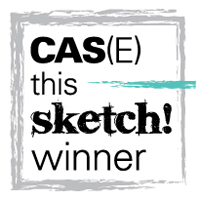 CLICK HERE to enter. 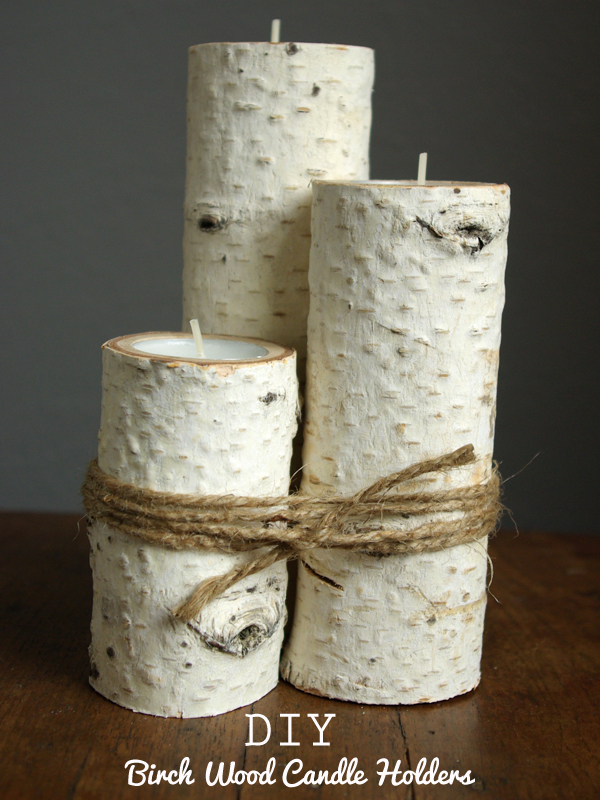 1.// Birch Wood Candle Holders by Oleander and Palm (love these). 2.// Dehydrated Orange and Clove Ornaments from Simply Notable. 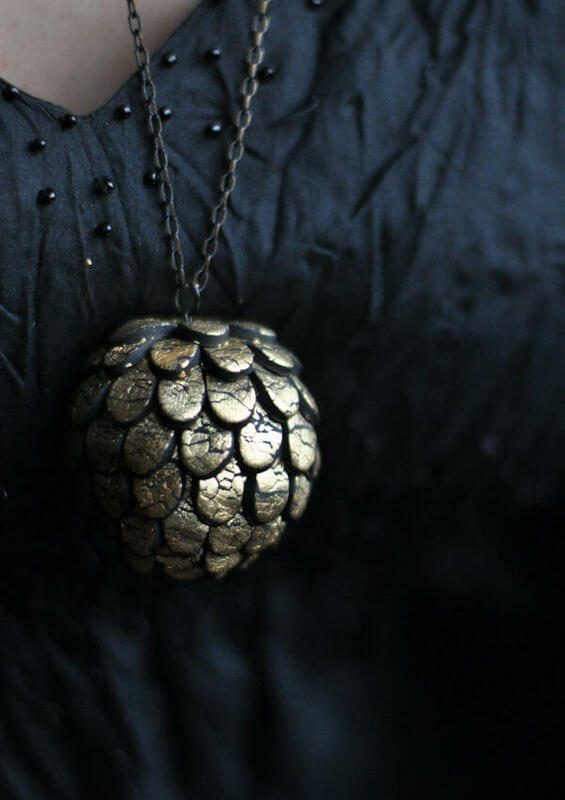 3.// Artichoke-Shaped Polymer Bobble from This Heart of Mine (I am SO making one of these). 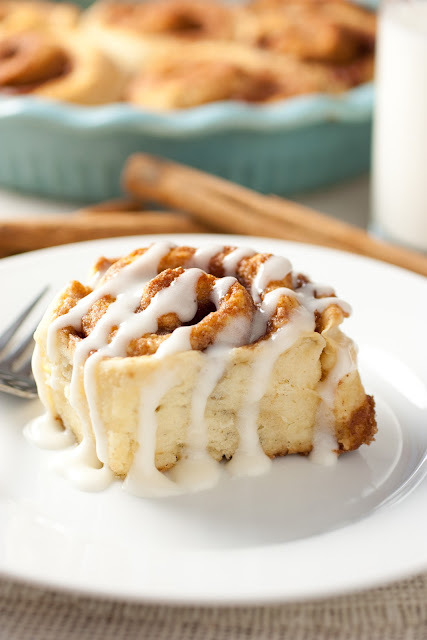 4.// 45 Minute Cinnamon Buns from Cooking Classy (making these as we speak…). Hope everyone is having a great weekend! They always go by so quickly. Yesterday was my grandmother’s 86th birthday and today my family is having a little surprise get-together to celebrate. I made her a card which I’ll share later this week! For now, here are some fun home DIY’s, two of which include sharpies. I’m thinking of trying some version of the sharpie decorated dinnerware for a creative wedding guestbook, maybe? 1.// Chair Makeover from Centsational Girl. 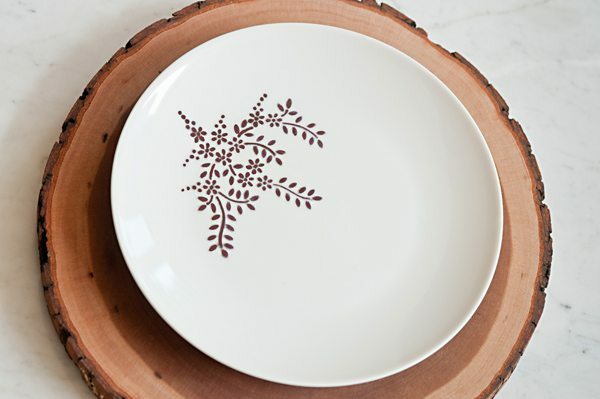 2.//DIY Sharpie Dinnerware from The Sweetest Occassion. 3. 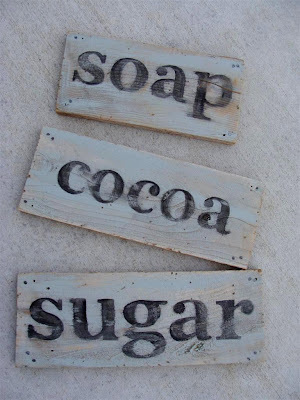 DIY Salvaged Wood Painted Signs from Diddle Dumpling. 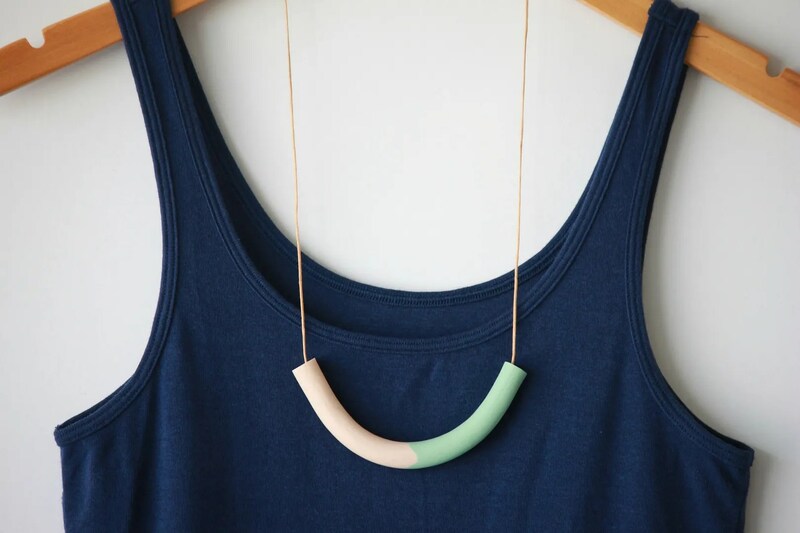 1.// DIY Collar Necklace from brideblu. 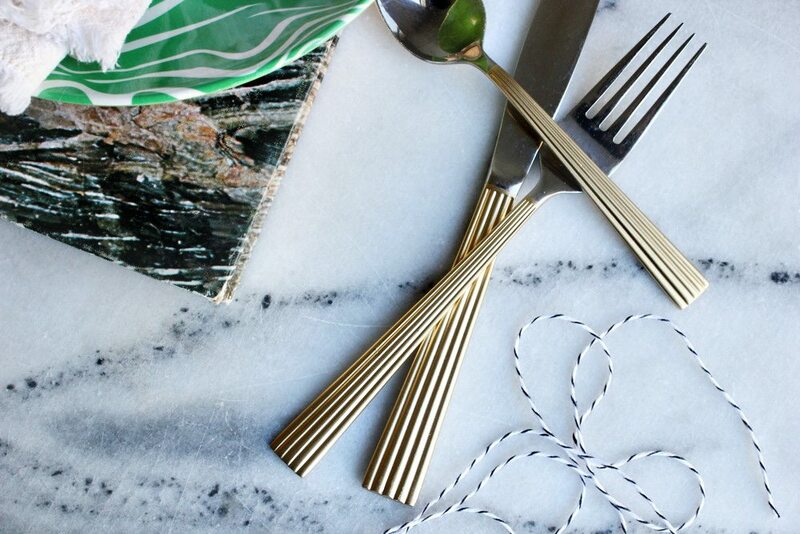 2.// Gilded flatware from The Sweetest Occasion. 3.// DIY Paper Wheels from Ruffled. 4. 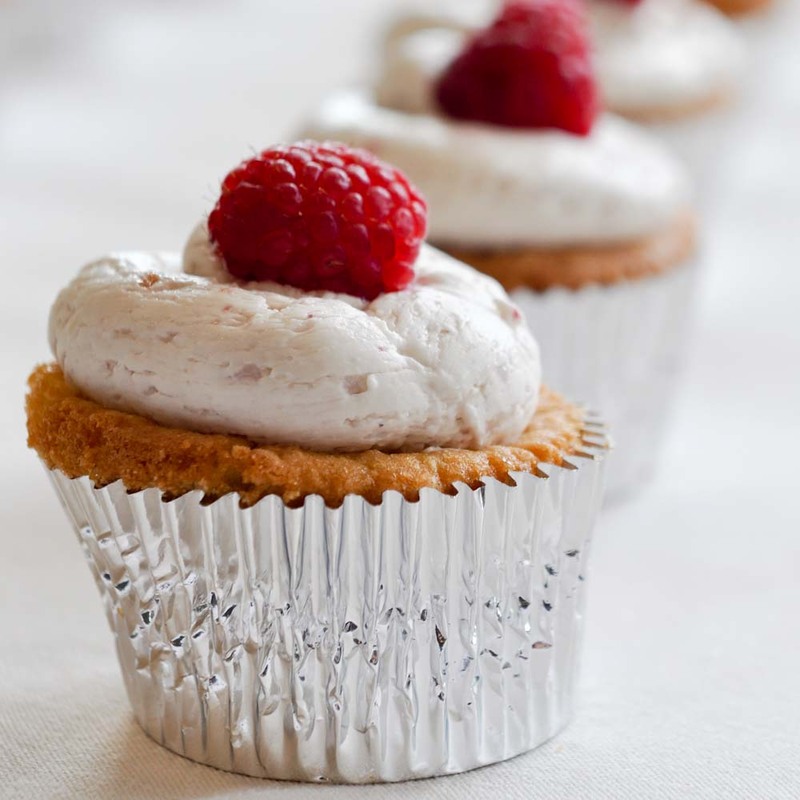 Raspberry White Chocolate Coconut Cupcakes from Foods Of Our Lives. Yum! 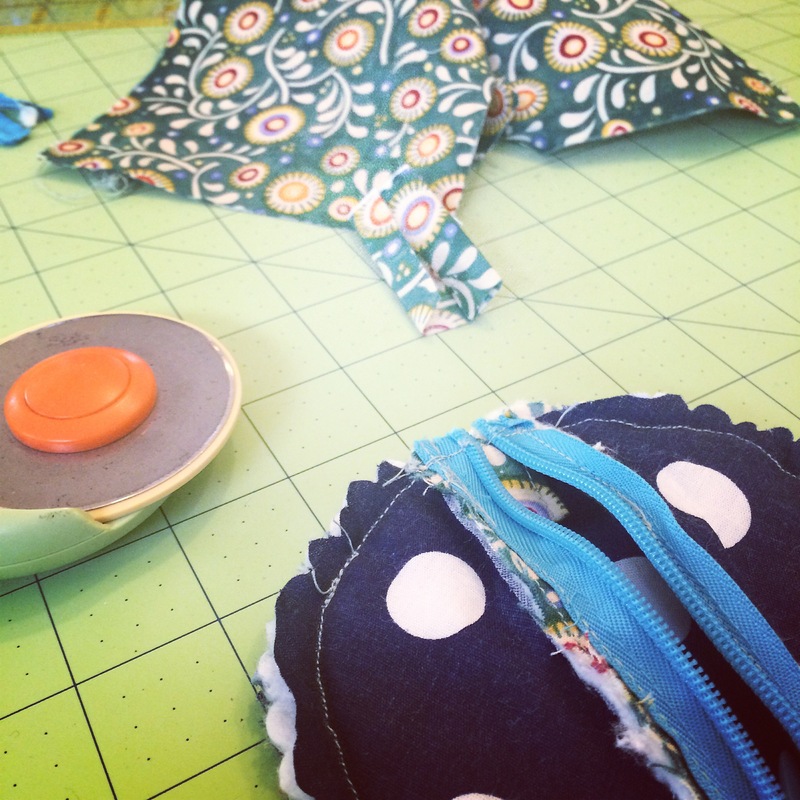 Lately I’ve been reading through a ton of crafty blogs and using Pinterest to collect images that inspire me. Maybe they’ll inspire you too?! Could this be a new Sunday feature? We’ll see. For now, here are some lovely pastel inspired DIY projects. 1/ Pastel swirl frosted cake by Sweetapolita. 2/ Pastel Nails from Pshiiit.com. 3/ Pastel Paint Swatch Chandelier by Hey Gorgeous. 4/ Half Circle Polymer Clay Necklace by Delighted Momma.